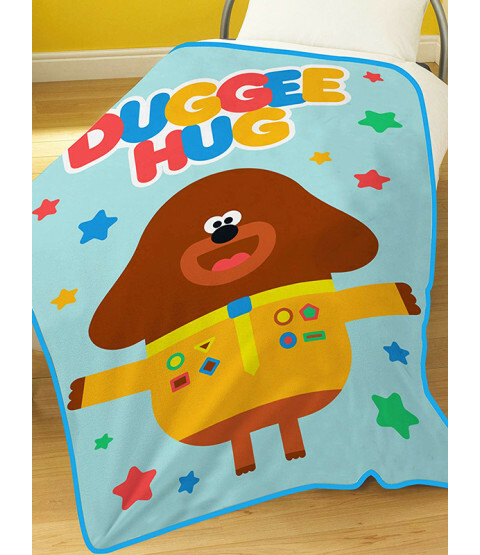 This official Hey Duggee fleece blanket makes a great addition to a Hey Duggee themed bedroom and is perfect for any little fans. The design features an adorable image of Duggee beneath the words Duggee Hug on a light blue background patterned with colourful stars. This wonderfully soft blanket is perfect for snuggling up with whilst watching your favourite Hey Duggee episodes and is machine washable and tumble dryer safe on a low setting.